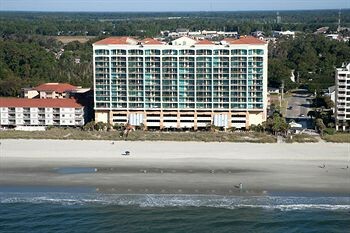 Property Location When you stay at Mar Vista Grande in North Myrtle Beach, you&apos;ll be in the entertainment district and convenient to Beachwood Golf Club and Mayday Golf. This beach hotel is within close proximity of Professor Hacker&apos;s Lost Treasure Golf and Molten Mountain.Rooms Treat yourself to a stay in one of the individually decorated guestrooms, featuring private spa tubs. Rooms have private furnished balconies. Kitchens are outfitted with refrigerators, stovetops, and microwaves. Complimentary wireless Internet access keeps you connected, and DVD players are provided for your entertainment.Rec, Spa, Premium Amenities Pamper yourself with a visit to the spa, which offers massages. You can take advantage of recreational amenities such as an outdoor pool, an indoor pool, and a lazy river. Additional features at this Art Deco hotel include a television in the lobby and tour/ticket assistance.Dining While enjoying a refreshing dip in the hotel pool, you can order your favorite drink at the poolside bar.Business, Other Amenities Featured amenities include a business center, laundry facilities, and an elevator (lift).